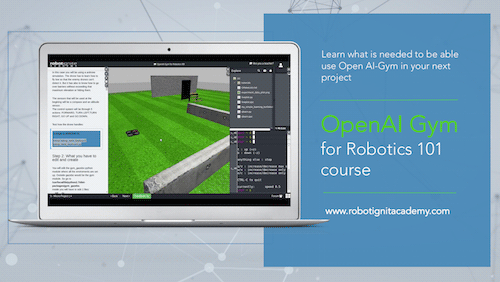 Learn what you need to use the Open AI-Gym in your next robotics project with ROS based robots. The objective of this course is to teach how to use OpenAI-Gym through environments defined for Gazebo Simulator. This means that although the examples in this course will be exclusively in Gazebo Simulator, the knowledge acquired will be applicable to any system. You will be able to define environments for Gazebo, but also for other simulators or even other systems. 2. Definition of environment files for openai-gym, centered in gazebo-ROS simulations.